For the most elegant and luxurious portrayal of your cafe or restaurant, plato cafe and restaurant wordpress theme is the finest choice. Basically it is a clean wordpress theme and for revealing your foodies in a sophisticated manner it is important to have a clean theme. This cleanest and minimalist offering is very simple to upload and is very much suitable to food sites like cafe, restaurant or pizza etc. 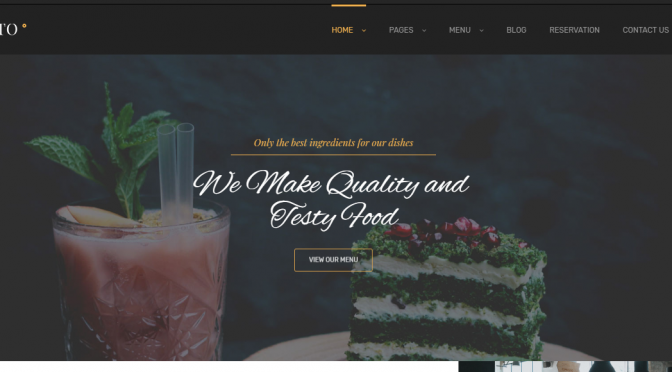 This cafe and restaurant WordPress theme is based on Bootstrap System. Plato has been created by Nunforest and the support is very professional by them at the time of emergencies the team gladly responds to concerns and help the installer for further customization as well.